Patience is available on the Wilde Imagination website. The three I have featured here are Garden Patience (the lovely red head, no longer available on the website), Ahoy Patience (the bobbed blonde in a sailor dress) and Thru the Woods Patience (the Red Riding Hood brunette). 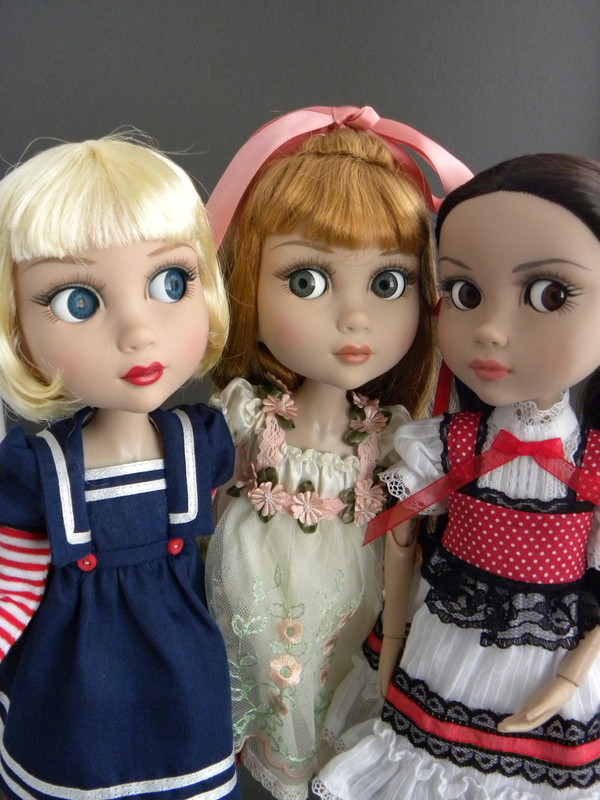 These are adorable dolls! 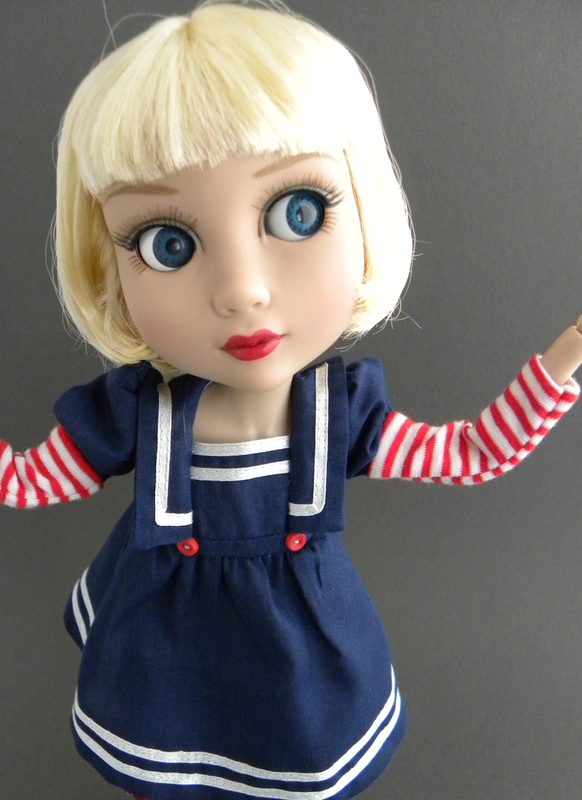 Unlike some articulated dolls, these girls have tight joints and can hold a pose and stand on their own. No stands to deal with! 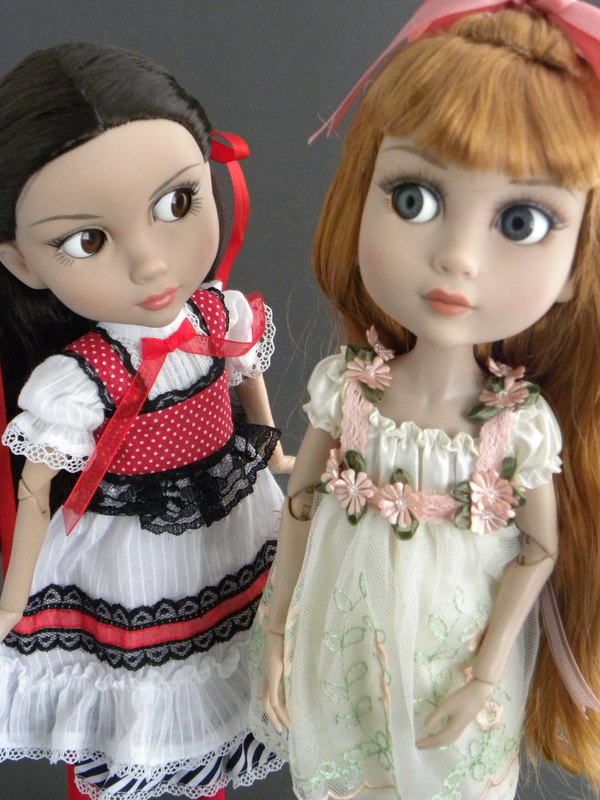 This makes photographing them so much easier than a lot of other dolls. If I displayed them, however, I would still use a stand. Their eyes do like to drift, though. Interestingly, their eyes move independently of each other so they glide from cross-eyed to wall-eyed very quickly. A little tap on the head usually resolves the issue right away. I’m not in love with their hair. They have great hair styles and I love the colors, but I’m not too impressed with the quality. I can imagine the hair getting matted and tangled pretty quick. True, they aren’t play dolls, but even the handling they receive from posing them for photos or redressing them is bound to mess it up over time. Just my opinion. 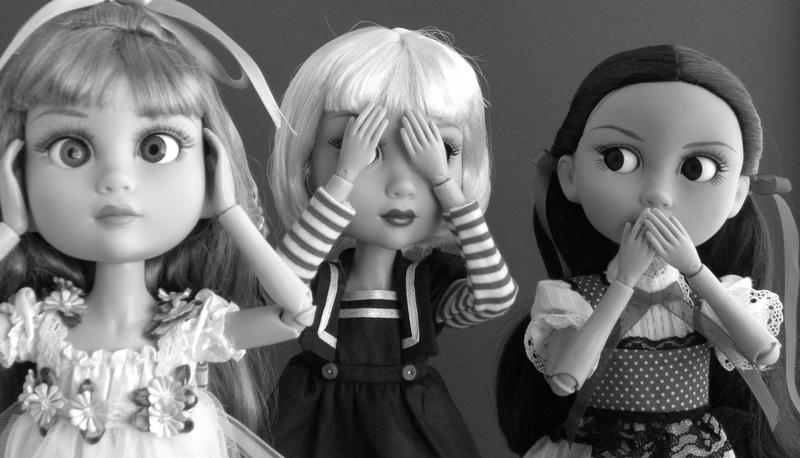 I still recommend the dolls anyway. They are beautifully made and loads of fun to pose, so the hair issue isn’t that big a deal. You could always re-wig them if it bothers you. I’m not at that point yet. So what do you think about Patience? 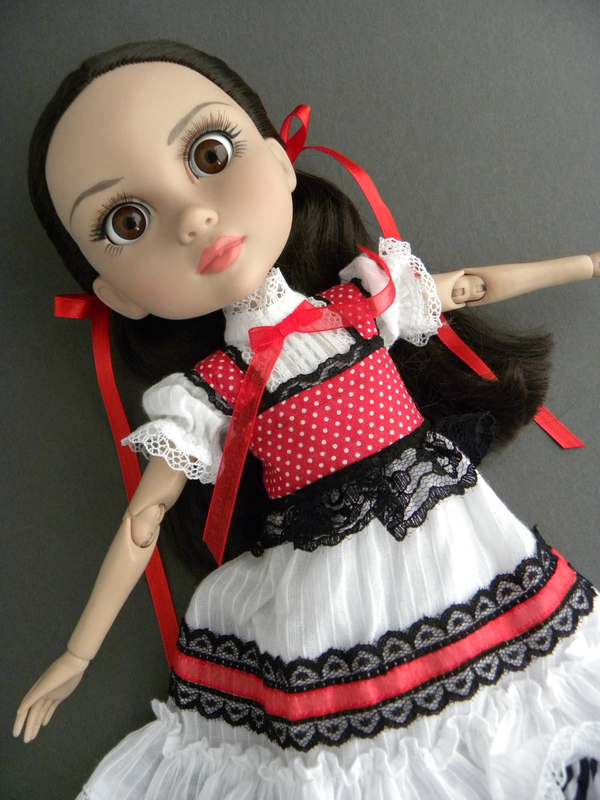 Would you mind having a doll with eyes that seem to follow you? A Little Red Riding Hood Patience. 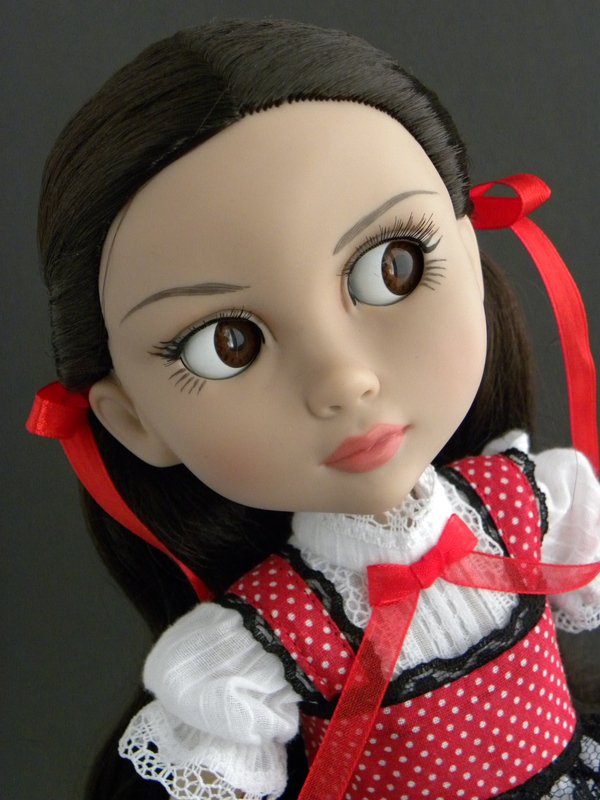 Are all Patience dolls have the same skin color? You have three at least… Hard to see on monitor screen.